Red hair was apparently a sign of witchcraft in Christian Europe and it's said that it was often seen as a marker of guilt in the eyes of witch finders. To what extent this is true we'll probably never truly know, but it does appear from the evidence that red hair was certainly seen as untrustworthy and something that aroused suspicion. What follows are examples of this prejudice. There are many examples of redheads being stereotyped as untrustworthy in medieval times. The "Proverbs of Alfred" warn not to choose a red-haired person as a friend and the "Secretum Secretorum" warns against using redheads as advisors. Another manuscript, from the 14th century, notes that redheads are rarely faithful in friendship and a work published in 1659 denounced the "vulgar error" of "censuring red-haired men." These ideas of untrustworthiness run parallel with the idea that Judas, Christ's betrayer, had red hair. In fact Judas was frequently portrayed with red hair or a red beard in the artwork of the Middle Ages. 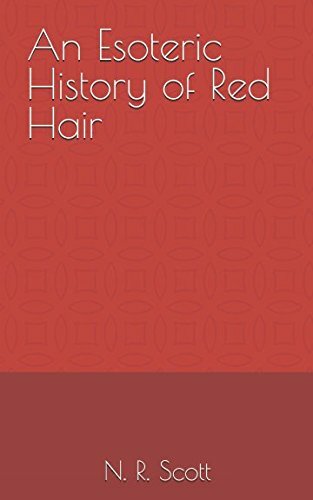 The author Ruth Mellinkoff, in her excellent book, "Outcasts," commented upon this prejudice, believing it to be a product of red hair's minority status in society. "Red hair, a red beard, and ruddy skin - separately or combined - have been considered suspect, impure, and dangerous because they did not meet the standards of the normal...[w]hat is essential to keep in mind is that they are minority features in all racial and ethnic groups, even among the Irish, who are widely thought to have more redheads." 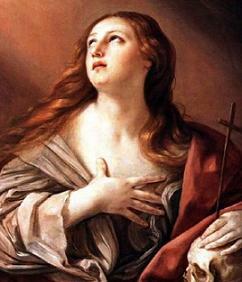 She also relates an early example of Christian condemnation of red hair, quoting from a letter from St. Jerome which gave advice on raising daughters. "Do not dye her hair red and thereby presage for her the fires of hell." For some reason, the medieval mind also attributed magical properties to the bodily fluids of redheads. For example, it was believed that the fat from a red-haired man could be used to make poison. Likewise, Theophilus Presbyter stated that the blood of a red-haired man was needed to turn copper into gold. The urine from red-haired boys was also used to make the paint for stained glass windows. Of all the European countries it would seem that the French had the lowest opinion of red hair. As late as the 19th century the phrase "poil de Judas" (hair of Judas) was still being used to describe the trait and as early as 1500 witches in France would often blaspheme the name of the Virgin Mary, referring to her as "la Rousse" - the redhead. There was even a twelfth century French scholar who belittled one of his rivals by constantly ridiculing his red hair. "A brave head covered with red hair is nothing else but the sun in the midst of his rays, yet many speak ill of it, because few have the honour to be so. Do we not see that all things in nature are more or less red? Among the elements, he that contains the most essence and the least substance is the fire, because of his colour. Gold hath received of his dye, the honour to reign over metals and of all planets the sun is most considered only because he is most red. The best-balanced constitution is that which is between phlegmatic and melancholy. The flaxen and black are beside it - that is to say the fickle and obstinate, between both is the medium, where wisdom in favour of red-haired men hath lodged virtue, so their flesh is much more delicate, their blood more pure, their spirits more clarified, and consequently their intellects more accomplished, because of the mixture of the four qualities." A fitting note to end on I think.